A virtually unbreakable blade for superb cutting performance wear resistance and safety. Will cut all metal types. 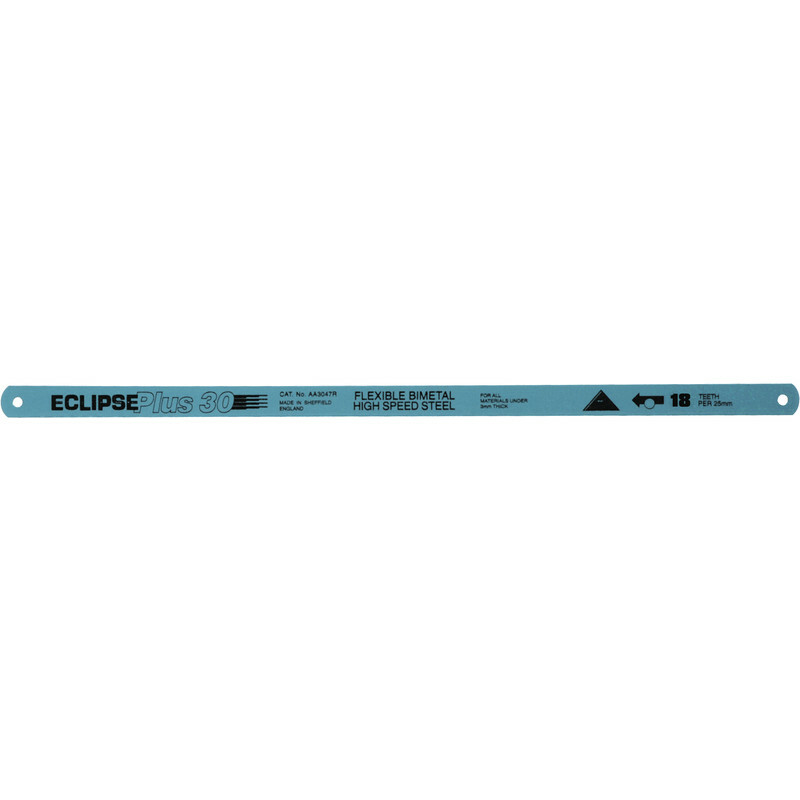 Eclipse 12" Hacksaw Bimetal Blades 24 TPI (10 Pack) is rated 4.3 out of 5 by 16. Rated 4 out of 5 by Emjay1 from Great blades Extremely flexible blades which work well once the paint has cleared from the teeth. Rated 5 out of 5 by Shred 500 from Great Blades can't really fall off with eclipse blades. great quality and same price as I was paying 10 years ago. Rated 5 out of 5 by Keith 19 from good quality the best i have used and would recomend to anybody. Rated 5 out of 5 by Gudday from Quality blades Really sharp and maintain sharpness. Rated 5 out of 5 by Powertoolman from Good blades at a good price Good quality blades for the price. Rated 5 out of 5 by Mr DIY from Eclipse probably the best blades Having used eclipse blades in the trade for a number of years I thought I would carry on with a trusted brand rather than the cheap rubbish which doesn't last 5 minutes.I bought the 3 pack because the blades last forever ( for me) and it's worth paying a good price overall for the quality.